Now that IPL is finally over(Thank God),overlooking all the crap that surrounds it now, I am in better control of myself and the kid.Though this year I managed to keep myself away from most of the matches, our little one ,who is a keen follower , cried buckets as soon as he SNIFFED the fishy fall of Mumbai Indians, a team he supported like anything, so much that he even insisted on wearing the MI T-shirt ,every time his favorite team was playing.I was disappointed too, but then the tender mind of our little fellow was deeply hurt and despite of our efforts to make him feel better and to make him understand that it was just a game after all..he sulked , cried and ditched the rest of match as soon as he saw the fall of third wicket.I wonder why he is so sensitive , and wish he was bit sporty ..Sigh ! Wishes..I wish I have none…I wish I was never tempted by a ravishing Chaat item, which always seems to be calling my name..I wish I was able to curb my anger over all the little issues…I wish there was a better way for politicians to get richer than to hog all the money of taxpayers .I wish there was some way to keep a check on rash drivers …I wish there was more hue and cry for the inflation in the country rather than being hooked to the controversial Marriages.I wish that women be known for better work than for spying .I wish some honest reality show regarding sting operations on politicians be aired on National TV..and imagine each politician to be ripped off, for its illegal deeds,rather than those..those.. uhhh..whatever…teenagers..who shout from rooftops that they trust their partners and still opt for spying on them(Emotional Atyachaar). I know I know, what you might be wishing now…as to when will I wind up my wish list and jump over to the recipe..well your wish is my command, so here we go…. Dhaas Bhindi or Bharwan Bhindi or Stuffed Okra is a simple way of relishing okra, since it calls for cooking okra stuffed with simple spices, full of aroma and simple, but amazing flavor. Fresh Okra stuffed with Indian spices and pan cooked.A simple side dish to relish with staple Dal rice. Rinse okra well with water, wipe dry with a clean cloth .Tip off the ends and make a slit all through the length of okra. 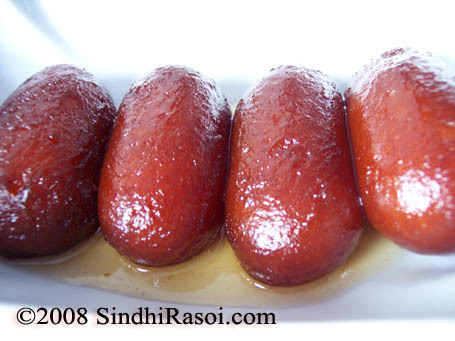 In a plate , mix together all the ingredients (chop the garlic and green chillies finely), except oil for shallow frying. Now stuff this dry masala in each okra, and be careful about the quantity of masala you stuff.You obviously do not want to fall short of spices and go around preparing second batch, thereby messing up the whole flavor, as some okra might end up being more spicier than others. When all the okras are stuffed (Phew ! ), heat a skillet or frying pan with a big diameter and a flat surface, and grease it well if using nonstick, or pour about 1-2 tsp of oil if using iron pan or skillet or griddle. Carefully place the okras side by side and shallow fry those on high heat for few seconds, give the pan a shake or so, so that the okras do not stick to the bottom of pan. If needed, toss the okra carefully with a spatula, taking care not to break or mush these. Lower the heat to the minimum and let the okras cook till the stuffing gets nice brown colour.Do toss the green beauties now and then and do not let the okras turn dark brown, or else the texture will be lost and you might end up with "kadak" bhindi..a no-no in comparison to its stuffed, soft and flavorful avatar. 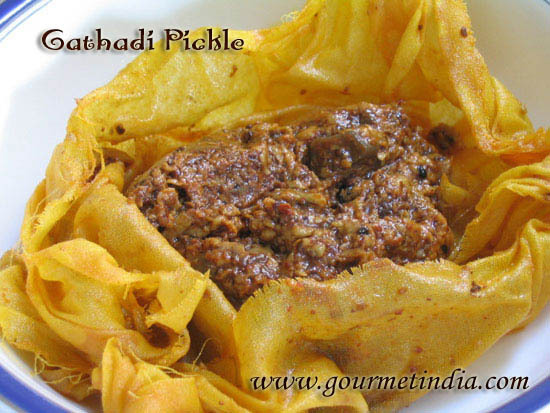 Enjoy this side dish with Dal and rice or with dal and roti. this stuffed version looks good that I want to try it out! Your child is so smart!! Already by the third wicket, he could analyse the likely outcome of the match! WOW!! He cannot be 5 yet? 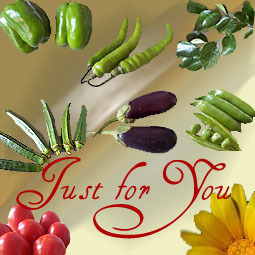 Thanks for the wonderful site.Am south indian married to a sindhi and this site is really helpful for me . 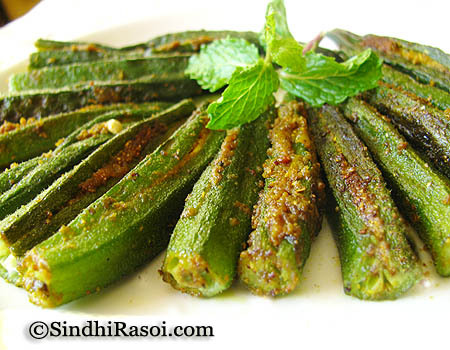 I like bhindi very much and I Love Sindhi traditional recipes. I like to eat dhass bhindi- stuffed okra with chapati and rice. Your recipe is different to other bhindi recipes and I will try this recipe in Sunday. Thanks for sharing this superb recipe. Stuffed okra looks too good. Never had them before. Those okra’s look spicy, tasty and delicious… Yum! Tempting stuffed okras, makes me hungry..
i just need some dal chawal to go with this..
emotional atyachaar?!! LOL! 😀 Oh! IPL fever…it too much overrated. I love bhindi. This version looks and sounds delicious. Ooo, I am sorry your kiddo was upset because of that IPL. I get frustrated too when people behave according to the wins or loses in the game of cricket. Luv anything with okras…the stuffed version loooks too gud that I want to try it out!